امید ہے کہ آپ لوگوں کو میری جانب سے کافی عرصے سے کچھ نہ سننے پر زیادہ شکایات نہیں ہوگی. دراصل بات یہ ہے کہ ہمیشہ کی طرح پڑھائی اور دیگر تعلیمی دنیا سے متعلق چیزوں نے مجھے کافی مصروف رکھا ہے. میری ہمیشہ سے یہ خواہش تھی کہ کسی دن میں اپنے اس بلوگ پر اردو زبان میں بھی لکھوں. کیونکہ یہ تو میری مادری زبان ہے ہی اور پتہ نہیں کب اور کیسے میرا اس خوبصورت زبان سے رابطہ کچھ ٹوٹنے سا لگا تھا. شاید اس کا قصور میری سائنسی دنیا کا ہے، جو آج کل کے زمانے میں، انگریزی زبان پر ہی زور دیتی ہے. اور اگر اخبارات اور خبروں کی بات کی جائے تو مجھے کبھی یہ نہیں محسوس ہوا کہ اردو دنیا میں کوئی خاص کر انوکھی جیسی چیز ہو. لیکن اب مجھے لگتا ہے کہ میری یہ سوچ کتنی معصوم تھی. پچھلے کچھ ہفتوں سے میرے سامنے کئی ایسی مضامین آے ہیں جو انتہائی دلچسپ ہیں اور جو انگریزی زبان کی دنیا میں شاید ہی دیکھنے کو ملیںگے. یوں سمجھئے کہ مجھے اس زبان سے واقف ہونے کا مزہ آخر اب ہی مل رہا ہے. اور میں اس کے لئے کافی شکرگزار محسوس کر رہا ہوں. Linux, BSD وغیرہ پر SCIM اور IBus جیسی سہولتیں ملیں گی. ان کے ذرے آپ transliteration keyboards کا استعمال کر سکتے ہیں: http://wiki.debian.org/I18n/ibus , http://beeznest.wordpress.com/2005/12/16/howto-install-japanese-input-on-debian-sarge-using-scim/ . اردو میں لکھنے کے لئے آپ کو m17 packages install کرنا پڑیگا. اور یے بھی مت بھولیے کہ آپ کو اردو زبان کی locales بھی سسٹم پر ڈالنی پڑےنگی. خاص طور پر جو UTF-8 والی ہوں. Firefox کے لئے اردو لغت کو install کرنے کے لئے پہلے Nightly Tester Tools addon install کیجئے اور پھر Urdu Dictionary addon install کریے. Firefox اور Debian کو لیکر مجھے یے بھی مسلہ کا سامنا کرنا پڑا. ویسے اسکا حل مجھے ابھی تک تو نہیں ملا ہے. Openoffice کے لئے اردو لغت یہاں ملے گی: http://extensions.services.openoffice.org/en/project/dict-ur . اسے اپنے سسٹم پر ڈالنے کے بعد آپ کو Tools>Options>Language Settings میں جا کر Enabled for complex text layout tick-mark کرنا ہوگا. Default زبان کی فہرست میں اردو تو نہیں ہے. تو یہاں پر ہندی ہی رہنے دیجئے. ہوتا یہ ہے کہ جب آپ اردو میں ٹائپ کرنا شروع کرتے ہیں، تو خودبخود Openoffice وثیقہ کی زبان اردو ہے سمجھ جاتا ہے اور اسکا اشارہ bottom toolbar میں کرتا ہے. میرے تجربے میں Debian میں ایسا نہیں ہوتا. آپ کو پہلے اردو میں تھوڑے الفاظ ٹائپ کرنا پڑتا ہے. پھر bottom toolbar کے ذریے زبان کی setting مقرّر کرنی پڑتی ہے. اچھا، چونکہ ہندی default CTL language ہے، جب آپ اردو ٹائپ کرنے لگتے ہیں، تو ایک ہندی font خودبخود منتخب کی جاتی ہے. جیسے Mangal وغیرہ. تو اس بات کا دھیان رکھتے ہوئے اردو ٹائپ کرتے وقت، اپنی font نسخ، نستعلیق، وغیرہ میں تبدیل کرنا نہ بھولیں. تو پھر بس آج کے لئے اتنا ہی. امید ہے کہ آپ ناظرین سے پھر ملاقات ہوگی. تب تک کے لئے الوداع! Copyright Firas MR. All Rights Reserved. Do let me know if there any others that you’ve found worth a look. Writing about the odious tentacles that young academics have to maneuver against, author Peter Lawrence of Cambridge (UK) says that “the granting system turns young scientists into bureaucrats and then betrays them”. He then goes on to describe in detail with testimonies from scientists as to how and why exactly that’s the case. And concludes that not only does the status quo fundamentally perverse freedom in scientific pursuit but also causes unnecessary wastage sometimes to the detriment of people’s careers and livelihoods despite their best endeavors to stay dedicated to the pursuit of scientific knowledge. And how this often leads to die hard researchers dropping out from continuing research altogether! the present funding system in science eats its own seed corn . To expect a young scientist to recruit and train students and postdocs as well as producing and publishing new and original work within two years (in order to fuel the next grant application) is preposterous. It is neither right nor sensible to ask scientists to become astrologists and predict precisely the path their research will follow—and then to judge them on how persuasively they can put over this fiction. It takes far too long to write a grant because the requirements are so complex and demanding. Applications have become so detailed and so technical that trying to select the best proposals has become a dark art. For postdoctoral fellowships, there are so many arcane and restrictive rules that applicants frequently find themselves to be of the wrong nationality, in the wrong lab, too young, or too old. Young scientists who make the career mistake of concentrating on their research may easily miss the deadline for the only grant they might have won. After more than 40 years of full-time research in developmental biology and genetics, I wrote my first grant and showed it to those experienced in grantsmanship. They advised me my application would not succeed. I had explained that we didn’t know what experiments might deliver, and had acknowledged the technical problems that beset research and the possibility that competitors might solve problems before we did. My advisors said these admissions made the project look precarious and would sink the application. I was counselled to produce a detailed, but straightforward, program that seemed realistic—no matter if it were science fiction. I had not mentioned any direct application of our work: we were told a plausible application should be found or created. I was also advised not to put our very best ideas into the application as it would be seen by competitors—it would be safer to keep those ideas secret. The peculiar demands of our granting system have favoured an upper class of skilled scientists who know how to raise money for a big group . They have mastered a glass bead game that rewards not only quality and honesty, but also salesmanship and networking. A large group is the secret because applications are currently judged in a way that makes it almost immaterial how many of that group fail, so long as two or three do well. 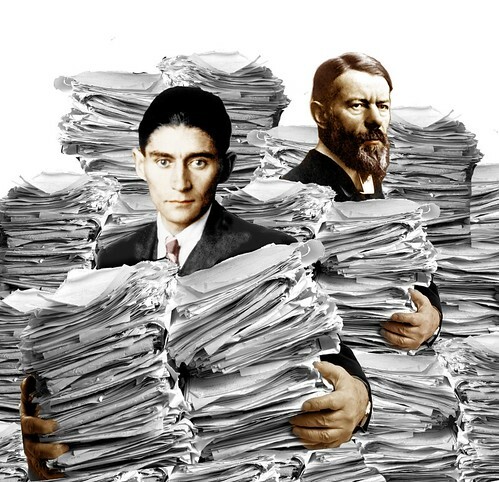 Data from these successful underlings can be cleverly packaged to produce a flow of papers—essential to generate an overlapping portfolio of grants to avoid gaps in funding. Thus, large groups can appear effective even when they are neither efficient nor innovative. Also, large groups breed a surplus of PhD students and postdocs that flood the market; many boost the careers of their supervisors while their own plans to continue in research are doomed from the outset. The system also helps larger groups outcompete smaller groups, like those headed by younger scientists such as K. It is no wonder that the average age of grant recipients continues to rise . Even worse, sustained success is most likely when risky and original topics are avoided and projects tailored to fit prevailing fashions—a fact that sticks a knife into the back of true research . As Sydney Brenner has said, “Innovation comes only from an assault on the unknown” . How did all this come about? Perhaps because the selection process is influenced by two sets of people who see things differently. The first are the granting organisations whose employees are charged to spend the money wisely and who believe that the more detailed and complex the applications are, the more accurately they will be judged and compared. Over the years, the application forms have become encrusted with extra requirements. Universities have whole departments devoted to filling in the financial sections of these forms. Liaison between the scientists and these departments and between the scientists and employees of the granting agencies has become more and more Kafkaesque. The second set of people are the reviewers and the committee, usually busy scientists who themselves spend much time writing grants. They try to do their best as fast as they can. Generally, each reviewer reads just one or two applications and is asked to give each a semiquantitative rating (“outstanding,” “nationally competitive,” etc.). Any such rating must be whimsical because each reviewer sees few grants. It is particularly difficult to rank strongly original grants; for no one will know their chances of success. The committee are usually presented with only the applications that have received uniformly positive reviews—perhaps favouring conventional applications that upset no one. The committee might have 30 grants to place in order of priority, which is vital, as only the top few can be funded. I wonder if the semiquantitative and rather spurious ratings help make this ordering just . I also suspect any gain in accuracy of assessment due to the detail provided in the applications does not justify the time it takes scientists to produce that detail. At the moment, young people need a paper as a ticket for the next step, and we should therefore give deserving, but unlucky, students another chance. One way would be to put more emphasis on open interviews (with presentation by the candidate and questions from the audience) and references. Not objective? No, but only false objectivity is offered by evaluating real people using unreal calculations with numbers of papers, citations, and journal impact factors. These calculations have not only demoralised and demotivated the scientific community , they have also redirected our research and vitiated its purpose . Reading the piece, one can’t help but get the feeling that the current paradigm – “dark art” as the author puts it – is a lot like lobbying in politics! It isn’t enough for someone to have an interest in pursuing a research career. Being successful at it requires an in-depth understanding of a lot of the red-tape involved. Something that is such a fundamental aspect of academic life and yet that isn’t usually brought up – during career guidance talks, assessments of research aptitude, recruitment or what have you. Do give the entire article a read. It’s worth it! That does it for today. Until we meet again, cheers! I managed to read quite a number of interesting books in the last couple of months. Among them, was Scientific Writing: Easy When You Know How by Jennifer Peat et al. Marvelous book and one that I highly recommend. The book has been mainly written for health professionals. It gives you an insider’s view of how the entire peer(expert)-review process in scientific publishing works. There are also interesting nuggets on peer-review outside of medical journals such as conferences, scientific meetings, etc. Upon submission to a journal, a paper will first go through preliminary screening by special staff who check for typographical errors. Not scientific merit. Did you stick to the word limit? Are the margins, fonts and spaces in accordance with the journal’s ‘instructions to authors‘ policy? If not, the paper will bounce back like rejected email! If it does scrape through, it goes to an editorial committee. Editors in turn run an ambiguous check on the paper’s scientific rigor and impact, whether it appeals to their sensibilities and whether it makes business sense to get it out in their journal. It is then forwarded to external reviewers. 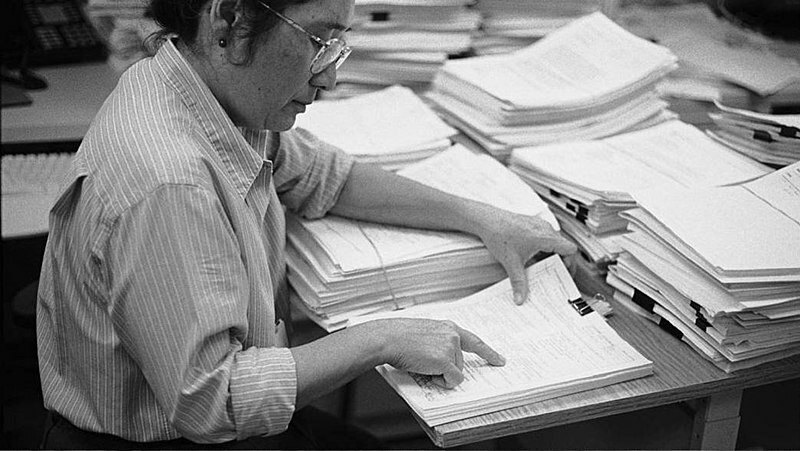 Many journals maintain databases of potential external reviewers who are ‘experts’ in their fields, some of whom are on contract for the journal and others who are not. These reviewers have a track record of being active in other journals and meetings. Journals may even rank reviewers based on whether they review papers on time, their general demeanor with authors of papers, etc. Often these chaps are perched in just about every nook and corner of the world. They look at the paper’s strengths and weaknesses in terms of study design, whether the conclusions put forth are in accordance with the reported results, whether the statistics measure up, whether certain areas need clarification, whether some parts should be rephrased or even omitted altogether. Their comments and annotations are then forwarded to the editors and in turn to the authors. Both editors and reviewers often refer to checklists to standardize this process, even if it be somewhat ambiguous. Because different people have different mental cutoffs for ‘clinical significance’ when it comes to reported results, different people will reach different conclusions even if they look at the same ‘statistically significant’ data. When two reviewers differ in what they think about a paper, editors will often request a third reviewer to look at it. After a lot of back and forth communication between authors, editors and reviewers the paper is finally published. The editorial committee is the final arbiter that decides whether or not the paper gets published. This process usually take months, unless there is a good reason. Multiple surveys have shown that journals are more likely to publish ‘statistically significant’ findings. This is an important thing to realize. For any scientific study with a Type 1 error rate of 5%, if the null hypothesis was true you would get a statistically significant result 5% of the time. Purely as a result of random chance. But it’s the 5% of studies that report such a ‘statistically significant’ result that are more likely to get published than the remaining 95% of studies that don’t. Most of the scientific literature is biased in favor of content produced in English. Translated works are an extreme minority. The most popular articles in a journal are reviews, editorials, letters, etc. and not research papers. Consequently, journals contain more narrative reviews than genuine research. It’s what keeps them in business. Being published is not necessarily something that is a natural consequence of your scientific caliber or contribution to mankind. It is a very political and arbitrary thing. Maybe the editors or reviewers for the journal are biased against your work. Or it could be that the editors do not think publishing your paper will increase their business, for obscure reasons. Maybe your paper is just too specialized and caters to a minority niche of readers. Editors usually want stuff that sells and increases readership (who by the way, more often care about narrative reviews as mentioned previously), impact factors and profits. Quite similar to newspapers actually. Editors may even decide to publish a paper regardless of what the reviewers think, as long as it makes sense to them to do so! When you submit a paper to a journal for consideration, you immediately transfer whole and sole copyrights to it. You are not permitted to share that paper outside of the research team without prior permission from the editors. Transfer of copyright to journals is pretty common and there are only a minority of fledgling journals out there that give you the luxury of retaining copyrights. Many journals have pre-publication ’embargoes’. If you have discussed your paper in a scientific conference, meeting, on a random website, with the press … and so on, different journals will have different policies on whether or not such a paper constitutes ‘duplicate’ material. That depends on how many beans you spilled out during such conferences, talks, … etc. and under what circumstances. Did you discuss just the abstract, some random figures and tables or the whole thing? Did you submit the paper before or after such disclosure? Does it constitute a copyright violation? If it’s considered duplicate, it will not be published unless there is a good reason. Transfer of copyright also means that you cannot submit your paper elsewhere or hand out copies of it to colleagues in meetings, conferences, etc. You can’t show off the paper on a website either. As long as the paper is under consideration for publication, you need prior permission from the journal. If the paper is rejected or withdrawn from submission, the copyrights are transferred back to the authors. Different journals will have different time limits on copyright. Some will allow you to maintain a copy on a website or a repository after a number of years have passed. These can rightly be called post-publication ’embargoes’2. 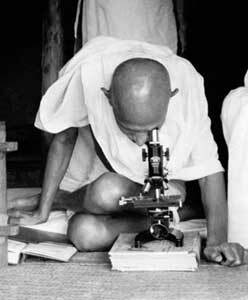 Scientific knowledge is thus ultimately controlled by vested interests making it difficult for a free and open society. This has led to calls for reform in peer-reviewed scientific publishing, including the open-access movement. There are two main models in open-access: Open-access journals, that make all peer-reviewed content free to the public. Journals from the Public Library Of Science (PLoS) are a good example. Open-access self-archives are another model. Authors can deposit copies (a.k.a. ‘self-archives’) of pre-prints or post-prints of articles that they have submitted to non-open-access, peer-reviewed journals that agree to such activity. They can then share these self-archives using websites and other tools. However, often self-archives are deposited in repositories which are usually institutional. Such repositories allow free public access not only to peer-reviewed scholarly content, but also non-peer-reviewed content such as theses and other gray literature. OAIster is a good example of a cross-repository search engine1. In certain cases you may want to submit your research for urgent publishing. Different journals will call these kinds of papers by different names – ‘rapid response’, ‘rapid paper‘ …, etc. Often they do not contain too much detail as to study design or statistical rigor. These papers will be submitted by editors to external reviewers on the condition that they be reviewed within a specified time frame. Once such a paper has been accepted and published, you may not be able to submit an addendum or supplement later as it might be considered ‘duplicate’ material! Following reporting guidelines such as those mentioned at the Equator Network, will improve your chances of being published. Submitting your paper to a specialty journal increases your chances of success. Most papers fulfill a niche and so do most specialty journals. The chances of you being struck by lightning are higher than the chances that your paper will be accepted without modification. Nearly always, editors and reviewers will get back asking you to change your paper in some way. In highly specialized fields, many journals will use the same set of reviewers. If you disagree with a reviewer and choose to withdraw your submission, it will not do you much good to submit to a different journal. Reviewers are usually free to remain anonymous to authors. And some journals will let authors be anonymous to reviewers in the interest of fairness. However, anonymity does not always happen. If you are well known in your field, don’t be surprised if you receive an offer to expert-review a paper from a random journal. Despite how enticing it sounds, reviewers do not make a lot of money from this business! Different journals select editors using different criteria. At the end of the day, it is the business team of a journal that usually decides. A candidate who can improve a journal’s appeal, impact factor and business profits ultimately wins. Have anything else to share that’s not on the list? Send me your feedback and I’ll put it up here!